​A deal struck between the US Dept of Energy and Washington state will allow a leaky radioactive storage tank at the heavily polluted Hanford Nuclear Reservation to remain as is for more than a year before its contents are removed. 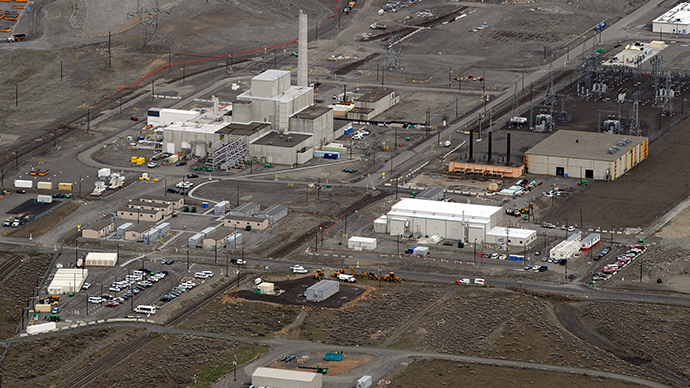 The deal agreed by the Dept of Energy and Washington’s Department of Ecology will put off pumping nuclear waste from the AY-102 double-walled tank until March 2016. Once the removal begins, the process will not be completed for another year, AP reported. 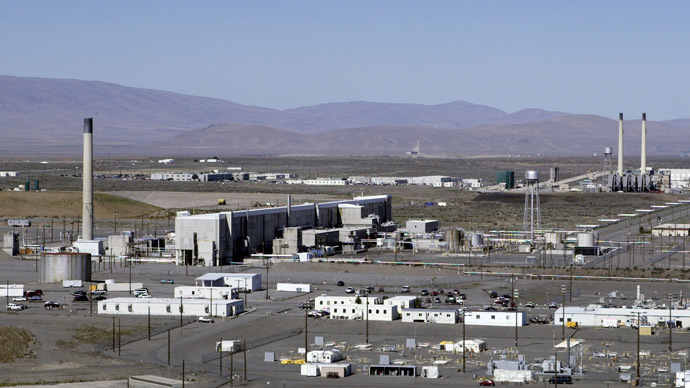 Hanford, located along the Columbia River in south-central Washington, is the site of 177 massive underground nuclear waste storage tanks, making it the largest collection of nuclear waste in the US. For four decades, the site was home to plutonium development for use in the production of nuclear weapons. While many of Hanford’s single-walled storage tanks have leaked, AY-102 is the only one of the more recently-installed double-walled tanks that have shown signs of leaking. 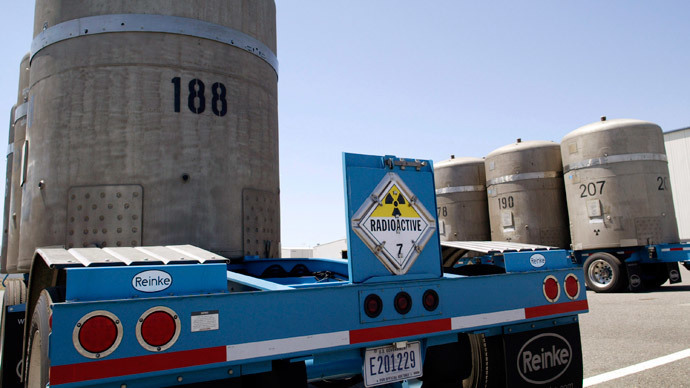 The Energy Dept has said about 30 ounces of nuclear waste per week leaks from the million-gallon tank’s inner wall. The waste has not breached the outer wall, the department has claimed. The deal marked yet another point of outrage for local residents who have for decades tried to clean up the toxic site. "Every day this tank leaks creates additional dangers," Gerry Pollet, executive director of Hanford watchdog organization Heart of America Northwest, told AP. "Federal and state laws require that leaking tanks of any toxic waste must be emptied immediately. 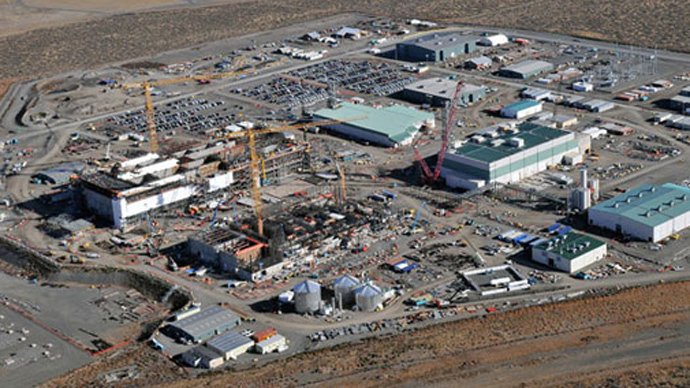 The Energy Department should not get special dispensation just because Hanford officials failed to take action over the past three years to have equipment in place to remove the wastes or to plan to build new storage tanks." The Energy Dept has known of the interior leak in AY-102, the oldest of the 28 double-walled storage tanks at Hanford, since October 2012. According to Pollet, the department will not face a penalty for the past two years of inaction. The deal now mandates that the tank should be emptied by March 4, 2017. The state originally called for the Energy Dept to begin pumping by September 1 of this year, but the department balked based on health and safety issues. The department said it would not have the equipment to properly remove both the radioactive sludge at the base of the tank and other liquid waste inside until March 2016. If the Energy Dept does not begin pumping waste from the tank by March 4, 2016, fines of $5,000 for the first week of delay and $7,500 for subsequent weeks could be implemented. 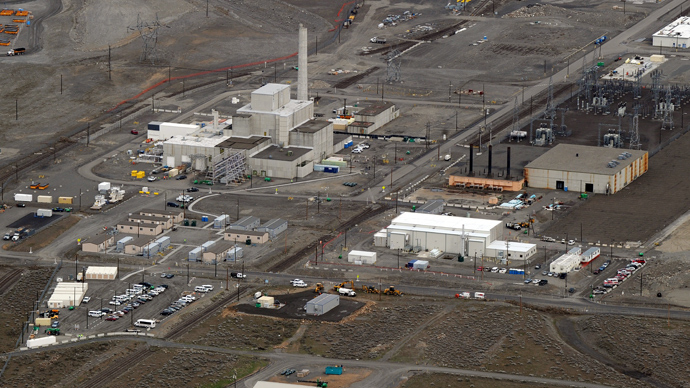 In 1943, construction began on Hanfordas part of the top-secret Manhattan Project. “Hanford was the producer of the plutonium that fueled the 1st test explosion in Alamogordo, New Mexico on July 16, 1945. The same plutonium also powered Fat Man, the five-ton atomic bomb that exploded over Nagasaki on August 9, 1945,” according to Heart of America Northwest.